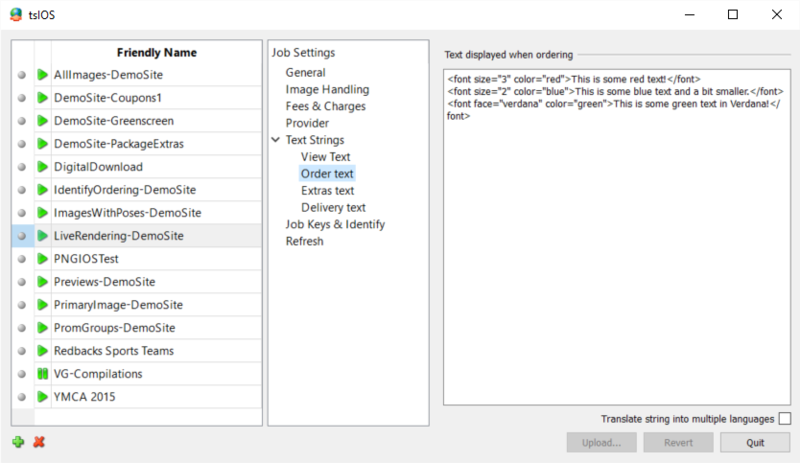 When uploading jobs with tsIOS it is possible to specify custom text that will appear at the top of the main ordering page. 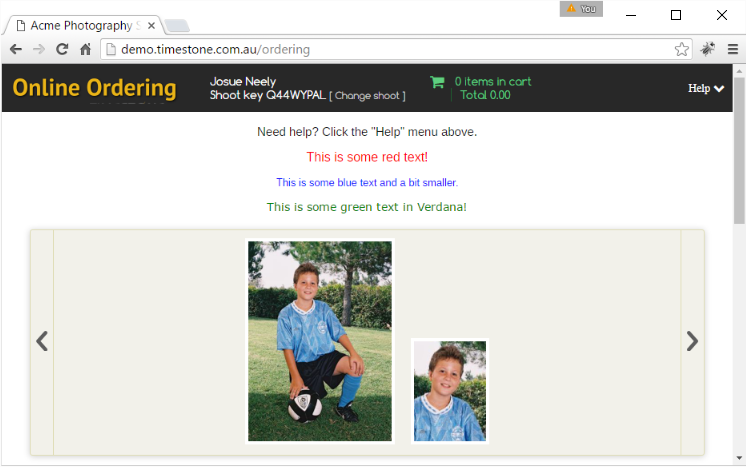 Often used to provide brief instructions to the customer, the custom text supports HTML tags as shown in the screen grab below. The HTML text in the above example yields the following results. The example above uses the <FONT>tag, however other HTML tags are also supported. The following example uses the <STRONG> tag to highlight key words in some text. HTML tags other than the text formatting examples described above are also supported. Notably the <IMG> tag can be used to display a graphic uploaded to the site folder. This can be used for promotional purchases such as Mother's Day or Christmas specials. Using your sFTP credentials and an sFTP client such as Filezilla connect to your site folder and upload the graphic.